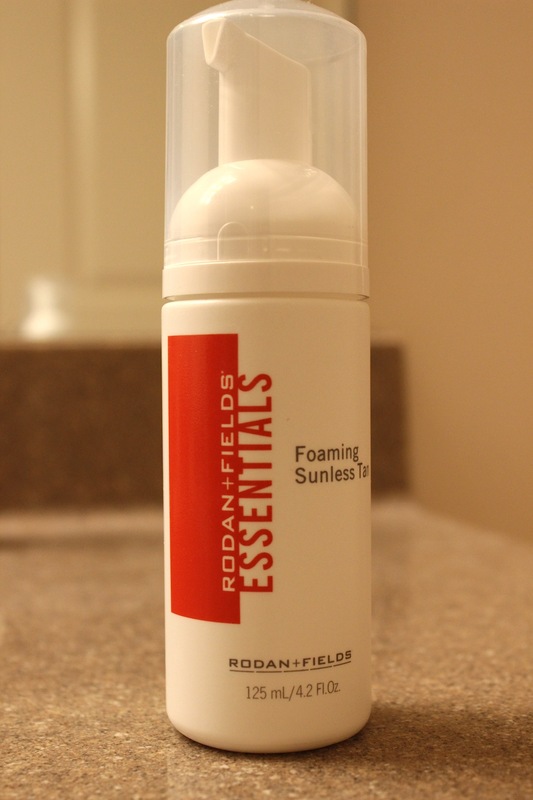 Rodan & Fields: A Giveaway for you! Skincare isn’t always something that I put first and foremost. I have fairly normal skin without very many issues and as long as I cleanse and have some SPF in my moisturizer, I feel like I’m doing alright. 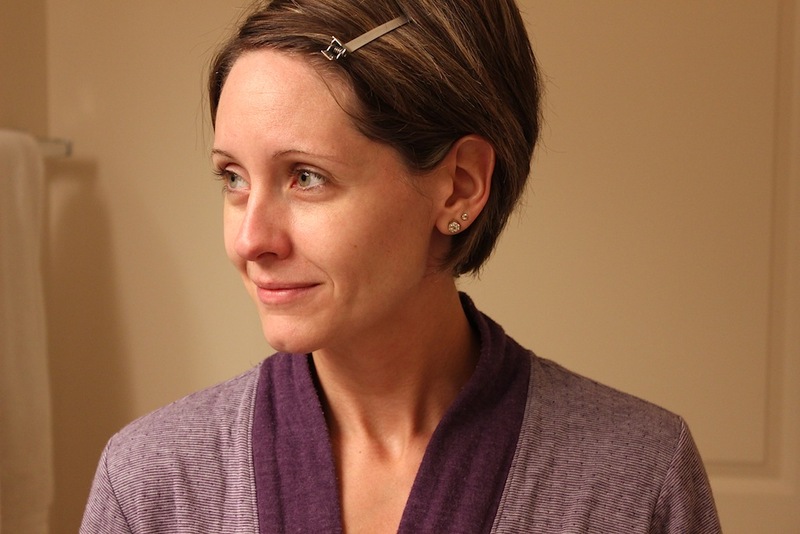 It wasn’t until recently that I that I began thinking about the whole anti-aging process. As happy as I am in my 30’s, I don’t necessarily want the lines that are slowly creeping in to take over. When my girlfriend, Saskia contacted me letting me know she had become an independent consultant for Rodan & Fields, I was intrigued. I’m at the point where I’m ready to start investing in the health of my skin. We all know I invest in my wardrobe, so there’s no reason my skin should take a back seat! Dr. Katie Rodan and Dr. Kathy Fields are the creators of Proactive Solution, which you have likely heard of. They wanted to extend their skincare solutions to everyone and as a result created Rodan & Fields skincare products. Saskia was sweet enough to send me a mini-facial sample to try out and after using the products one time, my face felt brand new. 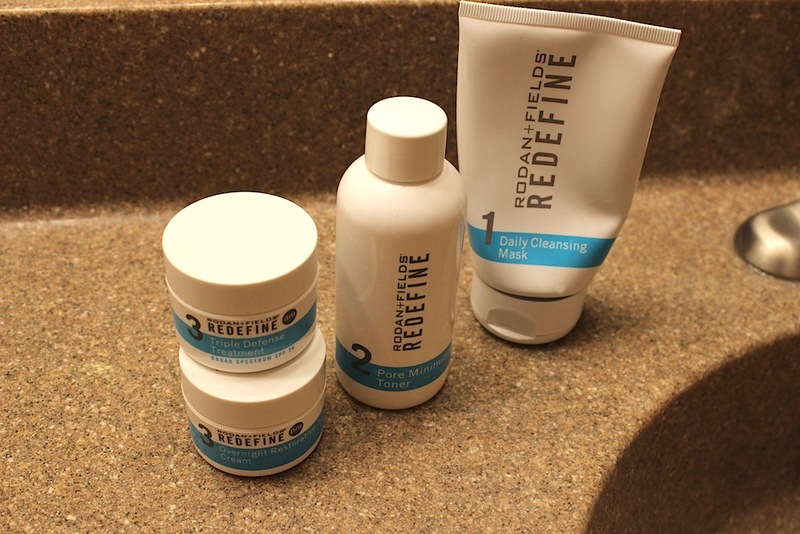 I eagerly ordered their Redefine Regime which included a cleansing mask, toner and moisturizers for day and night. I have now been using the products for over a month and can’t say enough about them. I do notice that some of those invading lines aren’t as visible any longer, but the biggest change has been the smoothness and firmness of my skin. I notice this particularly when I’m applying my make-up. My make-up routine hasn’t changed, yet it goes on much smoother than it ever did before. I begin by cleansing on my dry or slightly damp face. After rinsing, I apply toner gently over my face and neck. I then finish by using my day or night cream. When I mentioned to Saskia how much I was enjoying using the products she said, ” I look forward to my morning and evening routine all the time now- it’s ‘me’ time”. And it totally is. 5 minutes of ‘me’ time every morning and evening is totally worth it. Before jumping into the crazy fun stuff for YOU, I have to also mention one other Rodan & Field product that I am in love with! That would be their foaming sunless tan. I’ve tried a few lotions before and always end up with a slightly off color and too much tan around my knees and ankles. Well, I have only used this product twice and after two uses I was completely happy with the glow that I had. It was even and left no marks other than the look of beautiful sun-kissed skin! This product will certainly be keeping me out of the direct sun a bit more this summer! Ok, now it’s the fun part for you! Saskia is giving away mini-facial kits to 5 (yes, 5!!) A Lovely Living readers!! 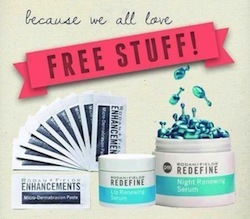 Each kit includes a sample packet of the microdermabrasion paste, the redefine night serum and redefine lip serum. It’s quite the treat, you’re going to love being pampered!! You can enter below until the end of the day Friday at which point 5 people will be chosen at random. Good luck to you all and take care of that skin! For any questions or for a comprehensive skin consultation you can email or call Saskia at saskiavalentine@yahoo.com / 917-770-8800. I’m always looking for new skin care products! I’d love to win and give this a try. These products have been on my radar for awhile but I just haven’t bit the bullet yet. I know what you mean! I’m turning 30 this fall and I’ve already seen some of those lines creeping in. Ugh! Thanks for the giveaway! My number 1 skin care concern is fighting fight lines and wrinkles and next is oily skin. Acne and oily skin! :( That is my problem. I would love to win. My email is perezashley60@hotmail.com. I love good skin care products! I like taking care of my skin now and especially for my wedding coming up! I still have breakouts from time to time. Thanks for the giveaway! I can use all the help I can get…. HELP ME!!!! Thanks Marisa and Saskia for this post! I get occasional break outs. I have a lot of allergies so I’m always afraid of breaking out when trying something new! Would love to try some new skin care products. I have pretty normal skin but am always looking for something to help take better care of my skin. I need to make up for all of the years I worshipped the sun! Of course, I would never trade the days in South Carolina I spent with your mom. I wish that we would have had more of them! Thanks for the beautiful pictures you share each day. I’ve been hearing lots of positive things about R+D, would love to try it out! Your skin looks beautiful! I’d love to win! I’ve noticed more fine lines now that I am 30, and I’d love to stop those before they get any worse. Hi Kathy! Unfortunately this contest has since closed, but you should most certainly check out the products. I have someone that I could refer you to, but I see you already have someone in mind. One great benefit is that they do offer a 60 day money back guarantee, so it’s worth giving them a shot to see what you think!